A friend recently asked me what I’ve been reading. “The New Yorker,” I told him. Reading, however, might be a stretch. Don’t get me wrong, it’s important to stay informed and even more important to look at matters of social, political and economic contention through an objective lens. It’s just that a picture can say 1,000 words. And as you know, dear reader, if there’s one thing we don’t have excess of, it’s time. 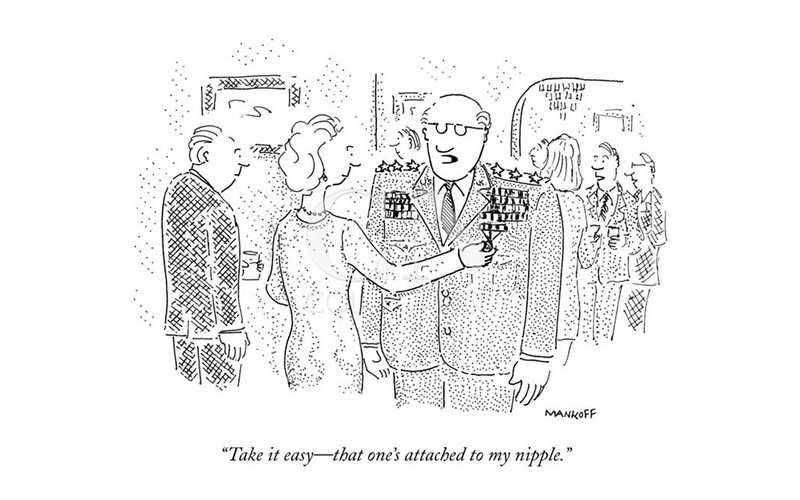 So allow me to remove my hat and take a solemn knee to honor the work of Bob Mankoff, who, according to today’s announcement, will soon be leaving his post as the long-time cartoon editor at The New Yorker. This is the man who made a career out of sorting through thousands of cartoons to bring me the cream of the crop. He’s saved me countless hours of unnecessary reading, and altered my peripheral understanding of the world the same way memes are used to prove right-wing ideology. Never is just fine, Bob. Thanks for all the laughs. A great cartoon is kind of like a great work of literature. It poses a momentous question about the human condition without ever giving an answer. This gem is just like staring down a long dark void also known as my future. Oh, the fallacies of tradition. Art and war have always been inextricably connected since the dawn of time. Every artist needs a patron, and every ruler needs a monument. What is it about hyper-masculine men that inspires such latently sexual mockery? Absurdity is the best antidote to political fatigue. The essence of comedy is saying the thing we’re all afraid to say. 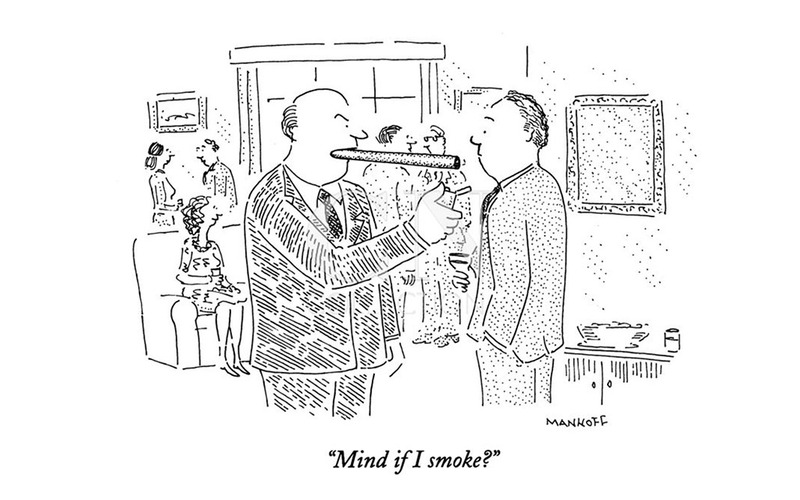 Nota bene: If you haven’t seen Very Semi-Serious: A Partially Thorough Portrait of New Yorker Cartoonists, which chronicles The New Yorker’s weekly open-call cartoon submission process, we suggest you do so immediately. Stream it on HBO here.